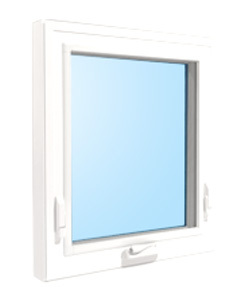 The appealing, modish awning window is similar to a casement, but is hinged at the top instead of the side. 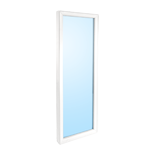 Awnings can be placed in areas such as bathrooms because they can be placed high without compromising privacy. 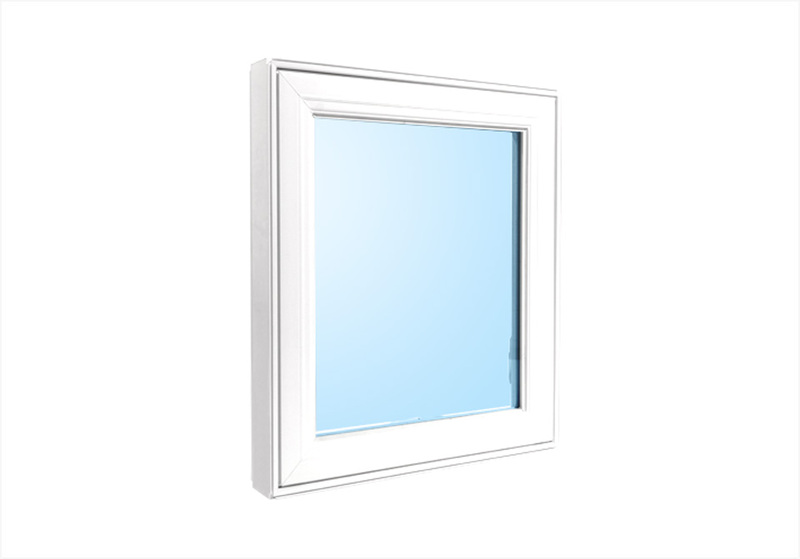 Taking advantage of natural light and ventilation, the high placement of this window also allows for the maximum use of wall space, so positioning art and furniture is never an issue. 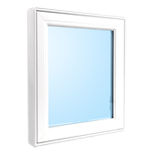 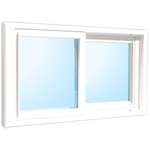 Excellent in damp climates, awning windows protect against moisture and harsh rain. 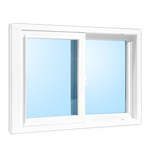 A great way to maximize ventilation without the threat of water entering the home, the awning window is a favourite in basements as well. 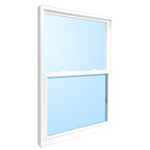 Awnings pair up well with fixed windows and are ideal for awkward areas where the available width does not allow for a casement. 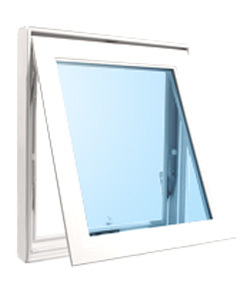 The casement is an especially good choice for any multistory homes. 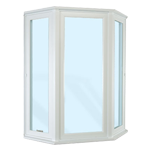 Since the screen is on the inside, it can easily be removed and cleaned, eliminating the need for outdoor access. 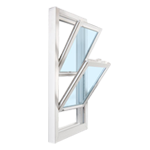 The innovative folding operator handle nestles into itself, allowing blinds and curtains to flow freely, without hinderance. 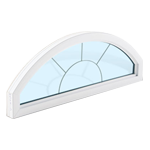 This makes the awning window a sleek and elegant choice. 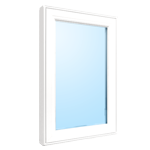 Available in both double and triple glaze, the Window Force Awning window is designed to meet ENERGY STAR® qualifications.